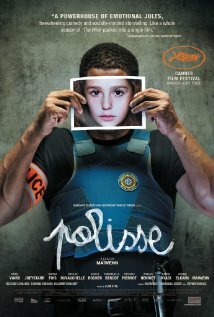 Polisse (released at some film festivals as Poliss ; French pronunciation: [pɔ'lis]) is a 2011 French drama film written, directed by and starring Maïwenn. It also stars Joeystarr, Karin Viard, Marina Foïs, Nicolas Duvauchelle and Riccardo Scamarcio. The film centres on the Child Protection Unit (Brigade de Protection des Mineurs) of the Paris Police, and a photographer who is assigned to cover the unit. The title is a childish spelling of the word "police".